It’s settled… I’ve figured out what day is my favorite of the school year. 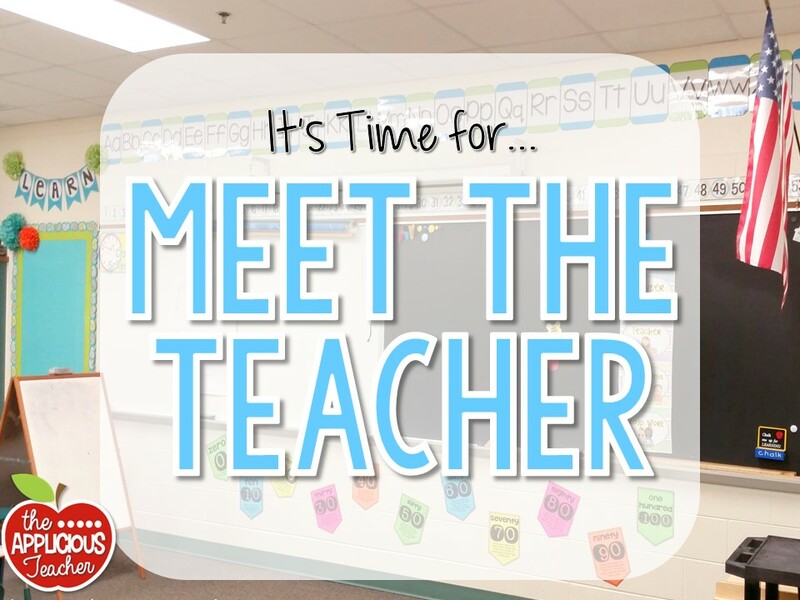 I mean birthdays and holidays are fun and we can’t discount the last day of school…But my favorite day of the school year is… Meet the Teacher! I also made sure my Apple door hanger was up! Gotta make sure parents and my future students could find me. This was a custom order from my fellow Florida girls, Tallahassee Sunday. You can check out their Etsy store here. If you’re not familiar with this app, it’s pretty cool. Great way to keep in touch with parents! Next to the sign-up sheets, I place my student information sheet (printed on bright green paper) for parents to fill out while they were here. On the other side of the table, I had a welcome back letter outlining some of my classroom routines ( a generic and editable version are available here) and a suggested supply list. My district has it’s own standard supply list that we can use. I created this one to be a little more specific as to what we need in our classroom. I also included a “Wishlist” on there in hopes of inspiring parents to send in a few little extras for us! Teacher Tip– Always set up at least one extra desk. You never know if a student might be added at the last minute to your roster. Now, instead of scrambling when their sweet faces enter your room, you can direct your surprise newbie to the already set up desk without skipping a beat. Just remember to put the name tag on before the first day of school. 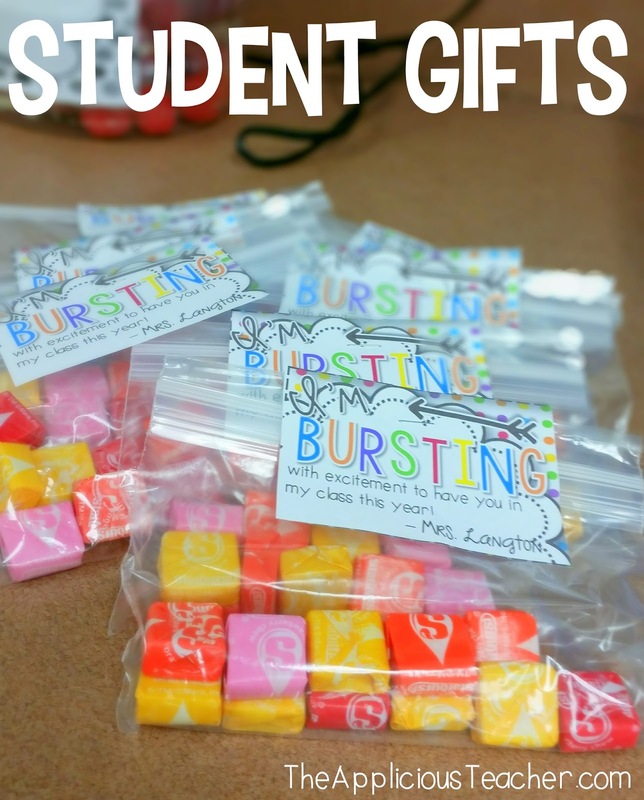 Once students finished their scavenger hunt, they could bring it to me to claim a little prize. Last year, I had these out on the desk, but this year, I wanted to make sure students saw me before they left. This allowed me to review their answers on the scavenger hunt and let them pick their bag. (Those pink Starbursts are coveted!) You can grab the tag I used here for free!All these forms (and soooo many more!) are from my “School Forms and Checklists” pack. Most of the forms are available in “print and go” and editable versions. You can grab this pack up here in my TPT Store. I’ve added and updated sooo many of the forms in here if you already have it, be sure to re-download it! I’m sure you’ll love the updates! Whew! Now it’s time to get ready for my little seconds’ first day of school tomorrow! 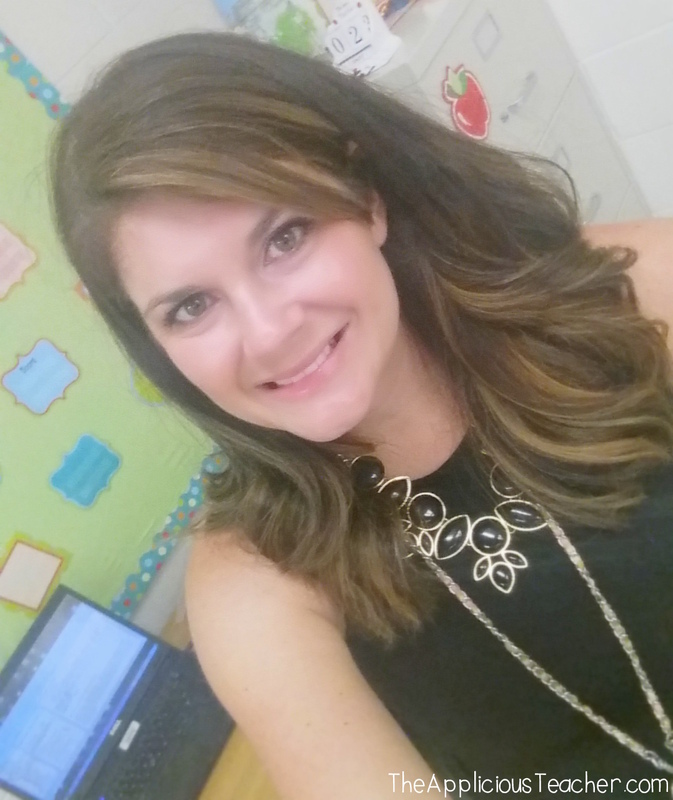 Really enjoyed your meet the teacher ideas! Looks like a great success. I was curious about the newspaper style social studies curriculum. 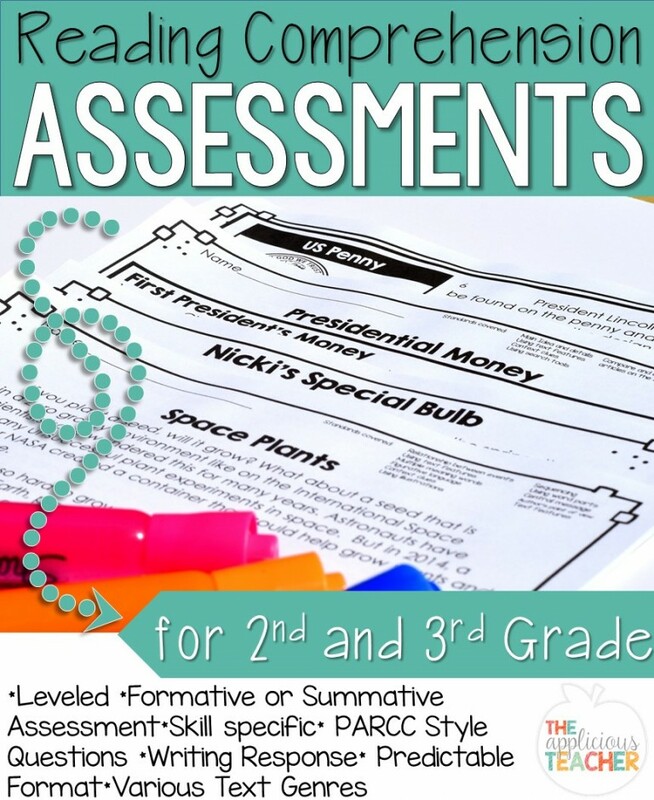 My 4th grade team has ordered SS Weekly this year and I was wondering if you had some interesting ideas in how to make it meaningful. Thanks and have a great year! I teach second and we teach social studies weekly. I actually love it. The newspaper style breaks from the monotony of textbooks and it comes with a big book version so the kids get their copy, I clip mine to an easel, and we read it once together and I ask questions as we go. The back has questions as well and they can do it for morning work the next day. I try to do one once a week and do a weekly project with it to integrate some art. I offer get books from the library on that topic and showcase them in the class library. It’s also fun to put them in groups, give them a certain amount of time to go through the books and then each group shares what they learned. All of that can be adapted for fourth. We use SS Weekly at our school. You can also take certain articles and create your own questions that might look like questions they’d see on the state’s reading test. You can use the articles to practice expository reading. Thanks for sharing your great ideas. At the end of this current year, I had my students complete a “How to Be Great in ______ Grade” brochure. I plan on putting these on desks for my new class and for Back-to-School Night. What a wonderful and exciting way to start your year! Thank you for all that you have shared with us! I’m going to try and use remind this year. I was going to give parents the option of email or phone # to use for it. What kind of sign up did you have for this/how did you introduce parents to it??? I generated a QR code that I had up at Open House. I explained to parents what it was, then had parents sign up using the QR code. It was very easy. If parent hadn’t signed up, I was able to send out a little letter asking them too. By the end of the year, I had 11 of my 17 parents signed up. That is HUGE for a title 1 school like where I was at.